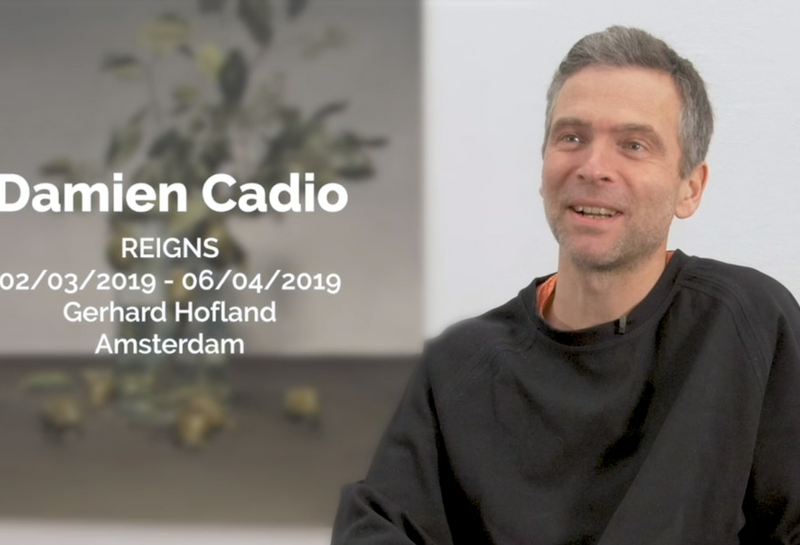 With his latest show REIGNS at Gerhard Hofland, French artist Damien Cadio seems to have taken a new direction. In the video Cadio tells why he’s decided to paint floral still lifes. In contrast to his earlier work with its dark and sinister scenes, the floral still lifes seem be to light and breezy. Yet, they are less cheerful than you’re led to believe. If you look carefully, you’ll notice Cadio’s darkness is still there, albeit in a more subtle way. The REIGNS exhibition can be seen until 6 April in Galerie Gerhard Hofland in Amsterdam. You can visit freely on Thursdays to Saturdays from 1 pm to 5 pm. By clicking on the links below you will discover more information about the exhibition and exhibited artworks or view the Damien Cadio biography. See the Exhibition page "REIGNS"